There is a great selection of markets in Lanzarote both for new and second hand items, including Car Boot Sale style markets. In Lanzarote, for some reason, these happen to be charity markets as well, particularly dedicated to raise funds for the welfare of animals. In aid of The Kennel Klub, an animal charity that focuses mainly on rescuing and re-homing injured or abandoned dogs. Where: At the Kennel Klub premises, on the main Road from Arrecife to the Airport, near the petrol station at El Cable – see map attached on their poster for more specific directions on how to get there. When: Monthly, on the first Saturday of from 11h to 13:h.
What: Bric-a-brack, toys, clothes, books and much more starting at €1. To book a stall: Unfornately it’s not possible to book a stall at this market. Donations: You can contact the Kennel Klub via their web (www.thekennelklub.org) or by email thekennelklub@outlook.com to arrange where and when to give them any items you wish to donate for their market. Also known as the Lanzarote a Caballo Car Boot Sale due to the location where it’s held, this one is in aid of P.A.L.S., the oldest animal charity in Lanzarote. 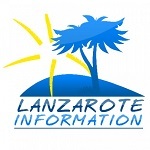 The funds they raise are used to spay and neuter stray cats and dogs in Lanzarote. They also occasionally hold additional and special charity days, like the McMillan Coffee Mornings or Christmas Market. I would advise you to keep an eye on our “What’s on” section to find our more details about these. Where: Lanzarote a Caballo is just off the roundabout for Playa Quemada on the main road that goes from Arrecife to Playa Blanca. When: Weekly, every Sunday from 10h to 13:30h. What: you will find a mixture of stalls, both belonging to the animal charity itself or individual with clothes, shoes, bedding, household items, some furniture, electrical items, fresh produce, books an bric a brac with prices starting at .50c and a €1. To book a stall: Stalls cost €10 and there is no need to book, just turn at the venue at 8h. Please note that you need to bring your own table / stand as it’s not provided. Donations: To donate items to sell at the charities stalls, please contact Judith on +34 928 830 298. In aid of the largest animal shelter in the island, it’s also the largest car boot sale market. 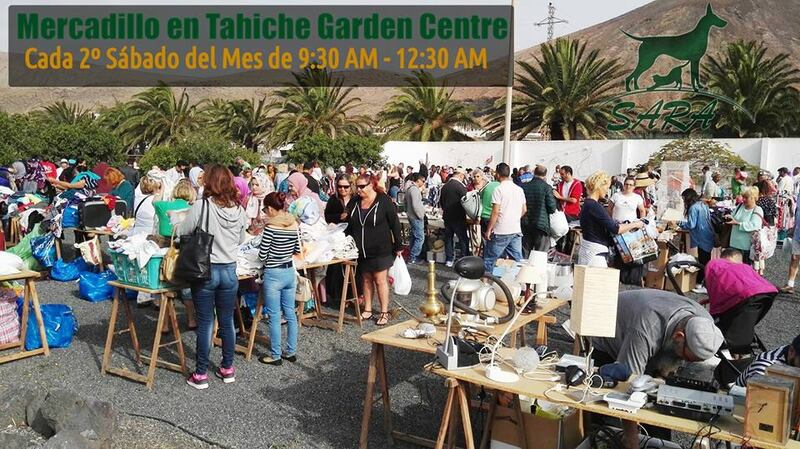 Where: At the Tahiche Garden Centre, on the same road of the Fundación César Manrique and on the same side of SARA’s animal shelter, just a few hundred meters down the road heading towards San Bartolomé. When: Monthly, on the second Saturday from 9:30h to 12:30h. What: You will find here a mixture of stalls too, both belonging to the animal shelter itself or individual with clothes, shoes, handbags, accessories, bedding, household items, furniture, electrical items, toys, bric a brac, books and DVDs to name but a few with prices starting at .50c and a €1, on ocassion getting bargains like: “fill a bag (that gets supplied!) of clothe for €2”, or 3 items for a €1, etc. To book a stall: Stands cost €15 and can be booked by contacting Derek on +34 646 838 749. The stand for your stall is provided so you don’t have to bring your own. People that have a booked a stall need to be at the gates of the garden centre between 8h and 8:45h, after that time they loose their booking and their space will be assigned to anyone that might be on the waiting list. Donations: While all items donated are much appreciated, it is not possible for the volunteers to accept jumble on market days. So you are kindly requested to bring any donations to SARA’s animal shelter on Tuesdays and Fridays between 10.00h and 12.30h at the jumble store which is at the bottom on the right as you approach the shelter. If jumple items are left outside the receiving hours they might end up being unattended for several days, get damaged by wind, rain and sometimes even stolen, believe it or not. Note: Donations for the shelter itself like blankets, cleaning products or animal food can be taken in at the shelter’s main gate between 10.30h and 12.45h from Monday to Saturday.